Suede is the perfect material for that extra bit of luxury, and has been loved throughout history for its beauty. 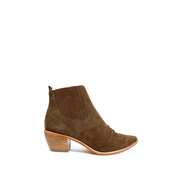 A quick search on Tumblr confirms that the most popular piece to be made out of suede is a beautiful pair of boots. 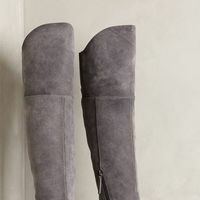 Whether they are cute ankle grazers or knee-high knockouts, a pair of suede boots is sure to be a fantastic addition to any outfit. Black or brown are the best colors for autumn and winter, and pairing them with an oversized jumper gives them a hipster twist. 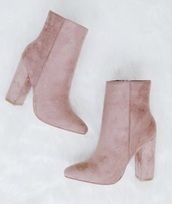 In the warmer months, we can create a vintage look by twinning our suede boots with a floral dress (allowing us to show off that gorgeous new tan, of course! ).